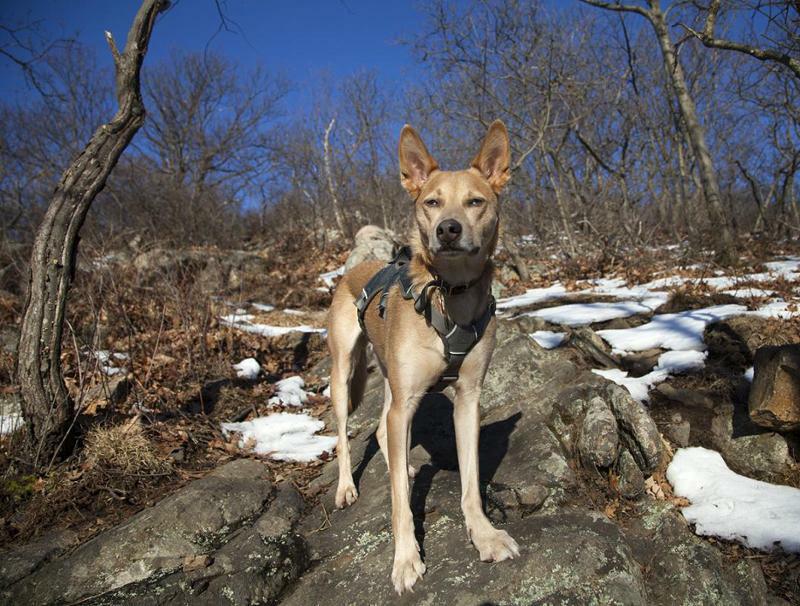 "We get out of the city with Shiloh pretty often and he's the best adventure buddy there is. He's great in the concrete jungle, but is completely at home on the trails." Tayamni wooowoooo's "hello" to her littermate. Love the gray muzzle. Boone and Tayamni have it too. It must be a family trait! Shiloh looks great and is in awesome shape! Jason and Nikky you all must get out a lot! What kind of harness is that on Shiloh in the picture? Interests:Married to my best friend, Camping, Swimming, Hooping, Hiking, Bicycling, Tattoos, and Burning Man. There harness is the Ruffwear Webmaster harness, and I can't really recommend it enough. It's really well made, fits him well, and the handle is great to have on it just in case you need to grab him, or pull him up, although that's a rarity since he's so agile. Jason and Nicky you all must get out a lot! Interests:My husky Remi is looking forward to getting an AI brother! I am not on social media but I did get in to Instagram in order to see Shiloh grow back in 2015. The jumping dog. How is Shiloh now, a few years later? Still jumping, enjoying his NYC dog parks and Vermont? Goodness, such a glorious story of a human with a dog. Thanks Jean, and yep, along with his new brother-from-another-mother Ryder as of Sept.